Why is Alicante an Excellent Destination for Finnish Companies? Traditionally, Finns have seen Alicante as a sun and beach destination, but very little has been spoken about its growing ecosystem of tech companies. This is partially because in the Nordic countries the promotion of Alicante and the Valencian Community in general has been focused on the good weather and clean beaches. In recent years, however, more and more Finnish companies have begun to consider Alicante as a possible place to establish their offices. In this article I will discuss some of the reasons for this, and share my own reflections on what Alicante can offer for Finnish companies. Being Finnish and having lived in Alicante for more than 15 years, I have a special interest in writing this article. From the first moment I arrived in Alicante in 2003, I was fascinated by its culture and scenery, its restaurants, cafés and places to stroll, but above all by the fact that it was a beautiful Spanish city where the overcrowding tourism had not yet occurred, and where you could still breathe in the local culture. I also loved the fact that the people from this coastal city were so welcoming and kind, which made it such an easy place to make local friends. There are already a significant number of Finnish companies located in Spain, but most have their offices in Madrid or Barcelona, as well as some in Costa del Sol and a few in Torrevieja. However, more and more businesses have recently started to take notice of Alicante and consider setting up offices there. 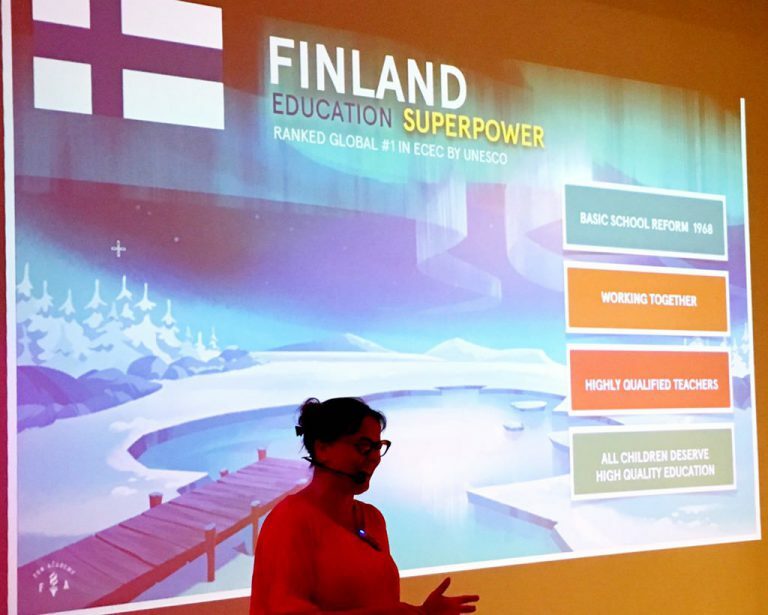 Fun Academy: This Finnish company that makes educational games, which has a global presence in more than eight countries, was one of the first Finnish companies to settle in Alicante. Fun Academy CEO Sanna Lukander giving a presentation on Finnish education in Alicante. Tikis: Although this leading fitness educational video company does not officially maintain an office in Alicante, one of its founders, Toni Pesonen, spends part of each winter working there while enjoying the city’s pleasant weather and beautiful beaches. Tikis is a good example of a digital economy company: since all of its products are digital, its employees can work remotely from wherever they choose, and in the winter its founders choose Alicante. “What I like the most about Alicante is that there is plenty of light during the day and it helps me to concentrate better during the winter months. The food is cheaper, making it easier for me to buy quality local products and maintain my healthy lifestyle. It is also fantastic to be able to go outside and exercise during the winter. The Internet connection is fast and I have the opportunity to exchange ideas and experiences with other Internet entrepreneurs,” says Pesonen. EdVisto: Joni AlWindi, CEO of the company EdVisto, which combines storytelling with videos as a learning method, has also visited Alicante on several occasions. He highlights the city’s digital economy ecosystem, as well as its physical beauty. “I’ve been surprised by the great knowledge about digital economy that exists in Alicante, and I think it is something totally unknown by many Finnish companies. For example, I have attended several blockchain conferences here, something that we do not have many of in Helsinki. Also, my family loves the area of the port, the pier, the main avenue, the nice views and, of course, the clean and quiet beaches,” AlWindi says. – Affordable Standard of Living: According to the Numbeo statistics page, consumer prices are 51.24% higher in Helsinki than in Alicante, and the rental costs are 130.39% more expensive. In the chart below you can see these and other cost of living comparisons between Helsinki and Alicante. Price comparisons between Helsinki and Alicante. It is important to note that salaries are higher in Helsinki, but these kinds of statistics can be of great interest to many entrepreneurs who are contemplating where to establish an office. 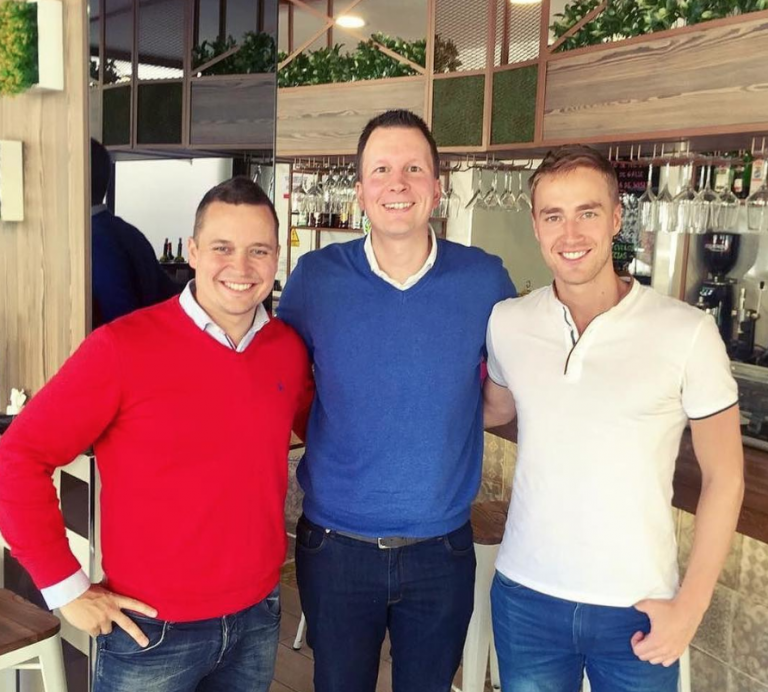 – Growing Digital Ecosystem: 10 years ago, when I first started doing digital marketing through YouTube, I thought I was the only one participating in that kind of thing in Alicante. Today, the situation is totally different. Alicante’s digital ecosystem is growing rapidly due to its increasingly large numbers of successful technology companies (https://alicantec.com/en/). BAES Blockchain Lab, a research group devoted to blockchain and its possible applications, which was born at the University of Alicante and with which I have the pleasure of participating, is a good example of how the latest trends in technological advances are being worked on from Alicante. Distrito Digital (Digital District) is another great project coming to Alicante and, according to its CEO, Antonio Rodes, it is possible that by 2019 there will be 120 startups and 40 micro-companies for gaming and eSports in the city. This will bring Alicante to the next level in terms of its international recognition as a technology hub. Nuria Oliver: Known for her work in computational models of human behavior and big data for social wellness, Dr. Oliver is a member of the European Association for Artificial Intelligence and co-inventor of 40 patents. She is also one of the authors of the White Paper on Artificial Intelligence and Big Data commissioned by the Government of Spain. Currently, she is the Director of Data Science Research at Vodafone. 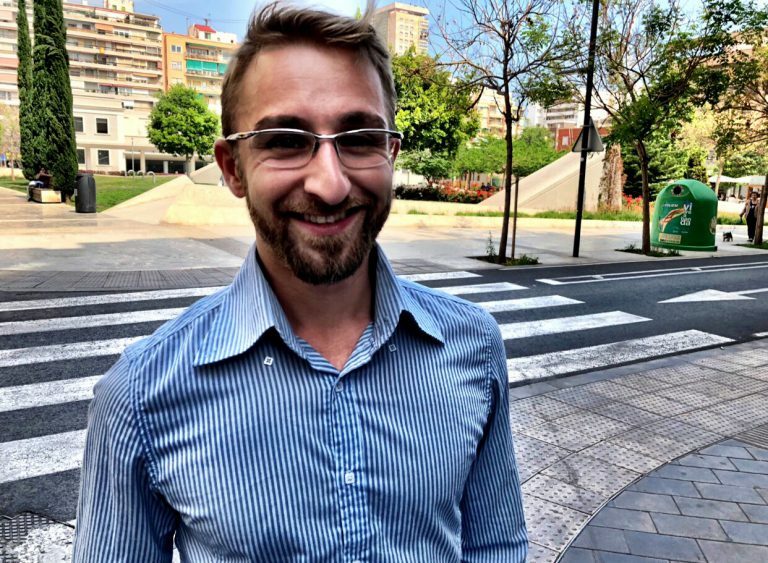 Andrés Torrubia: An internationally recognized engineer who was awarded a Fellowship by the Eisenhower Foundation, Torrubia took fourth place in an international artificial intelligence competition specializing in autonomous cars organized by Udacity. Javier García: Professor at the University of Alicante, he has been awarded as the best Spanish innovator at the Massachusetts Institute of Technology (MIT). He is one of Europe’s top leaders in nanotechnology, as well as a collaborator at the World Economic Forum in Davos. Eduardo Mazon: An expert in chatbots, Mazon was co-founder of Panoramio, the first European startup purchased by Google. Andrés Pedreño: Founder of AlicanTEC, former Rector of the University of Alicante, and Director of the Observatory of Artificial Intelligence and the Observatory for Internet Economic Analysis and Development (ADEI), he is also one of the authors of the White Paper on Artificial Intelligence and Big Data. – Ease of Travel: I was pleasantly surprised to learn how easy it is to travel back and forth between Alicante and Helsinki, with both Norwegian and Finnair offering several weekly direct flights. This allows me to visit my home country more quickly and easily than from other parts of Spain. It is also one more reason why Alicante is such an attractive location for Finnish companies, as it takes the hassle out of commuting. For all of these reasons, and some that I have surely missed, Alicante is an ideal location for Finnish companies to establish their offices.